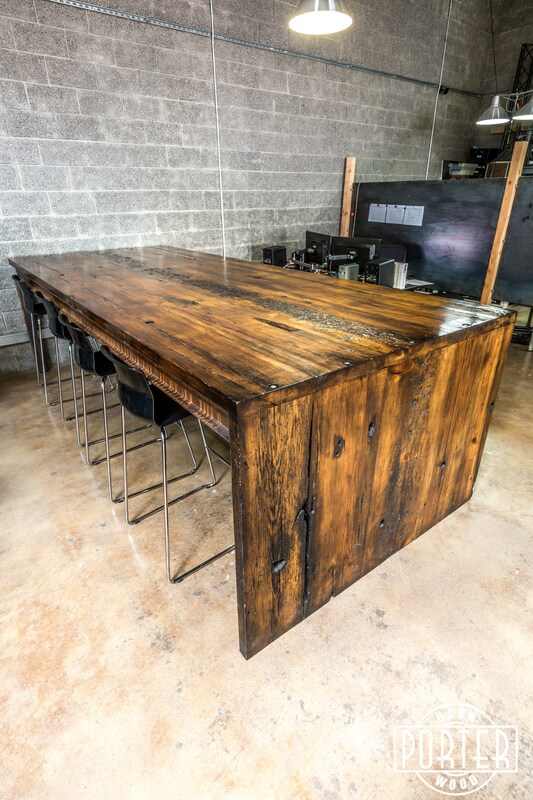 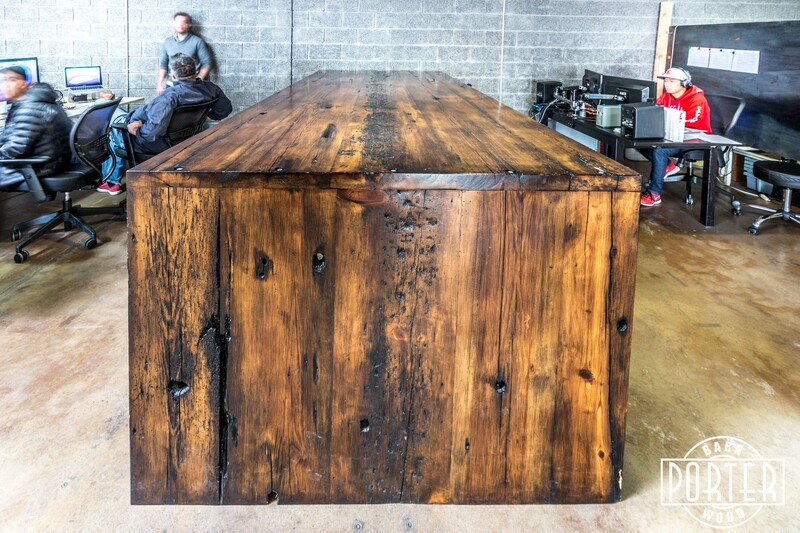 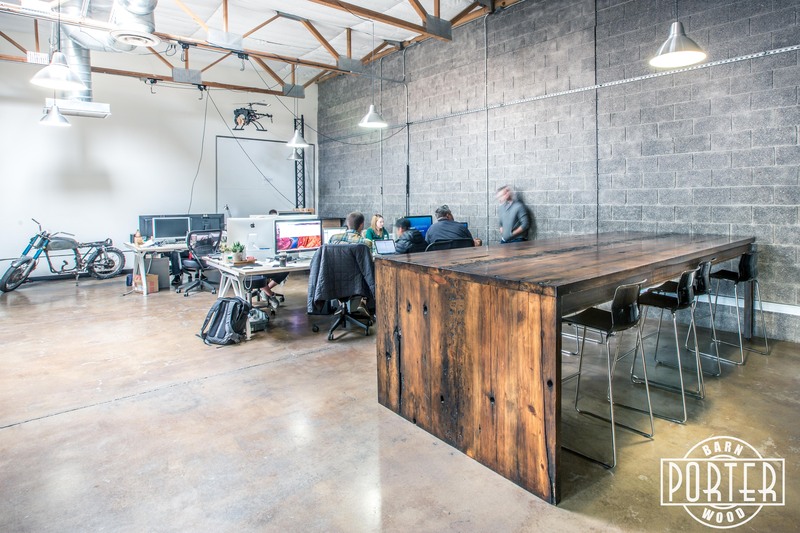 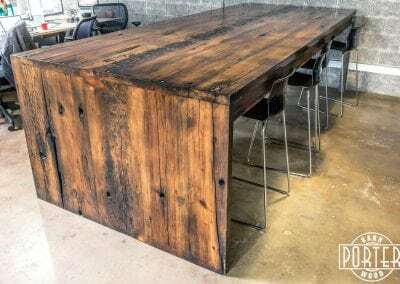 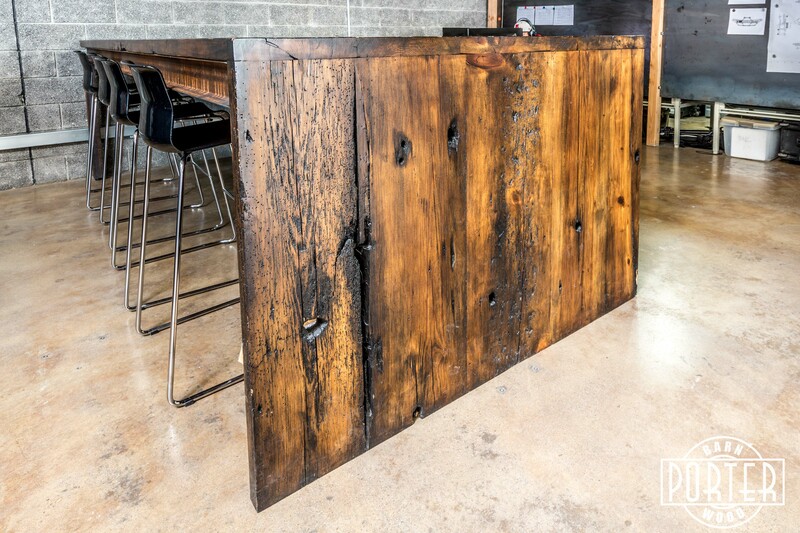 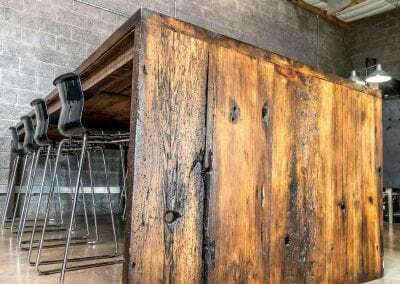 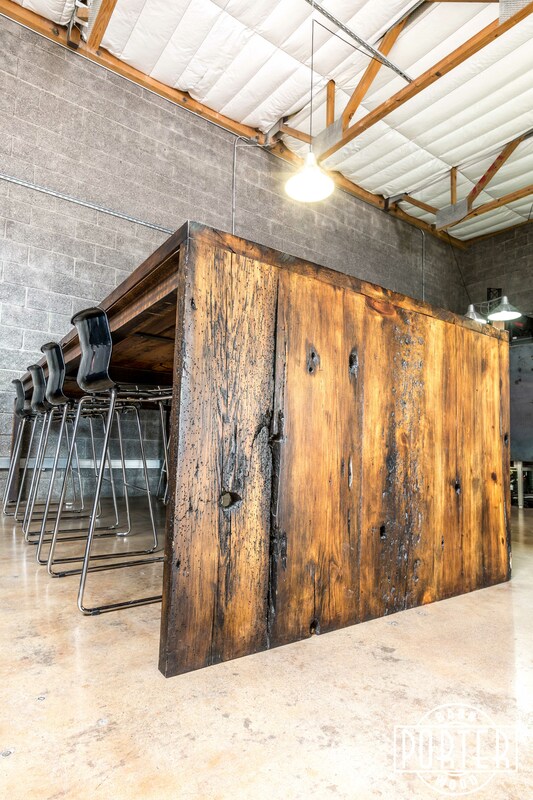 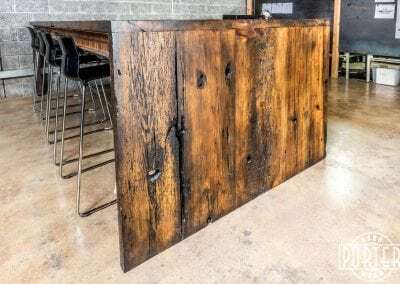 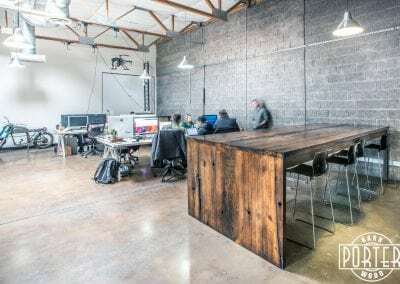 This Hemlock “Waterfall” Conference Table went to our friends at Defy Products & Relentless Media. 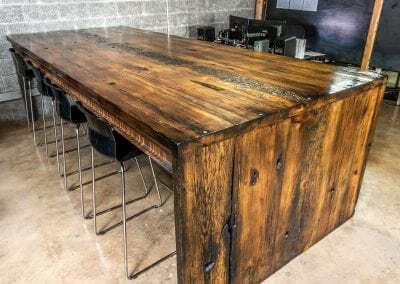 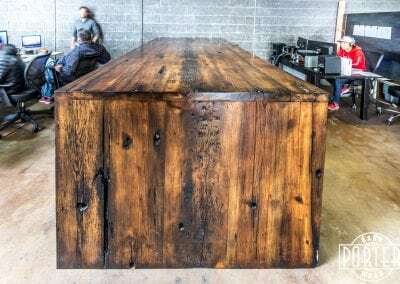 The table is a Hemlock top and “waterfall” front, this give the illusion of the wood falling to the ground, the finish which is a vandyke brown with dirty brush and clear lacquer. 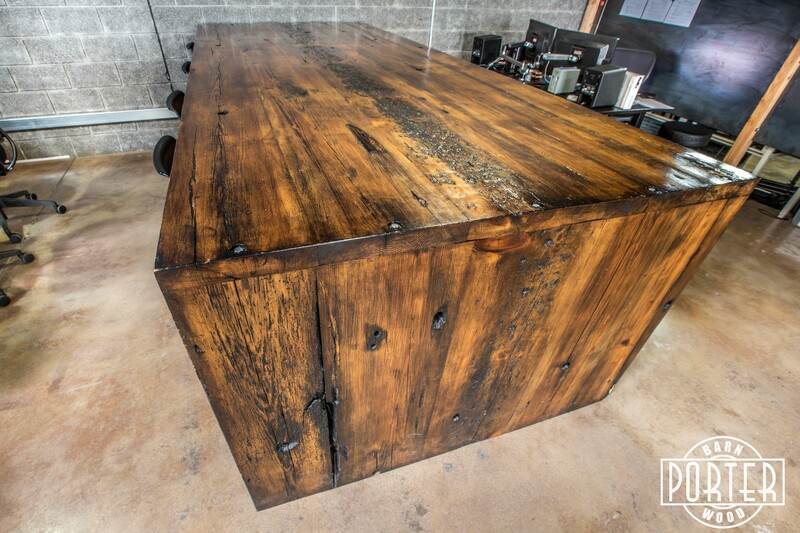 The base is Steel I-Beam with a rusty patina to match the top.